Could Microsoft be interested in purchasing RIM? The problems on Wall Street could play a role in the cellular phone market. According to Reuters, the recent drop in Research In Motion's shares could place the company in a vulnerable position to be purchased by Microsoft. RIM, worth more than $148 per share on Nasdaq just a few months ago, is trading around the $60 mark, primarily due to the US financial woes and expenses relating to the release of new smartphones. 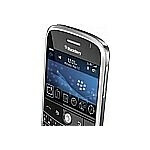 "RIM is a massive strategic fit" for Microsoft, said Canaccord Adams analyst Peter Misek. "I'm fairly certain they have a standing offer to buy them at $50 (a share)." Microsoft, looking to diversify amid competition by Google and Apple, will have to wait until the stock price drops to approximately $40 per share before RIM considers the deal as a "premium bid." Microsoft, of course, had no comment. No way dude. I like bb's. Don't want to buy a Blackberry and see it come with Win Mo OS. I agree... Obviously MS would not get rid of an OS which probably cost millions of dollars and a few years to create. Anyway, MS would buy the company, but I doubt they would change anything. They could also fully integrate Microsoft Office programs in the BB OS. I could see them advertising phones as Microsoft Blackberrys. That'd be a good marketing idea. Plus, the UI's could morph, with the BB OS getting some windows functionality. I've never had the priviledge of owning a BB phone but i wouldn't want to see WM OS on them either. Variety is the fruit of life! It's not much of a privelge, belive me. It's just a phone. And variety is the spice of life. I agree with you though, more options is better for the consumer. But that means that Windows Mobile 6 will totally replace the BlackBerry OS, even though WM6 is available for download on the BB. If you can beat 'em...buy 'em! Microsoft should attack the iphone like the Zune attacked the ipod. New interface and add in the cell phone components and BAM you have a Zune phone. They could call it "the Zone" and run on WM. Who needs Blackberry? It wouldn't be strategic for Microsoft to "buy-out" RIM and load WM on RIM Devices. If Anything Research In Motion would stay exactly the same while Microsoft would wait for their shares to rise and use the patents and copyrights that RIM has on their own devices. wow, windows needs a major revamping. their software is so ugly. if they bought BB, they would ruin it and lose all their current BB users.